A hardback version of this is available at: https://sentrad.org/psychology/ The soft back and hardback versions include all three of the following volumes in on book: Vol. 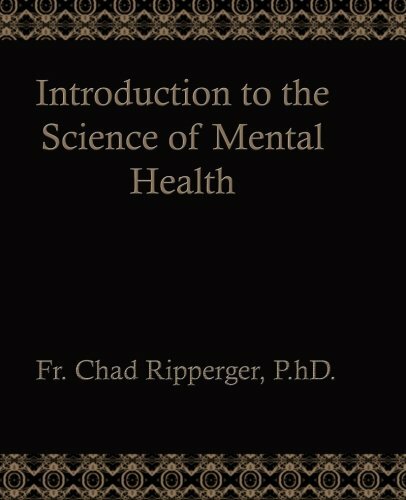 I: Philosophical Psychology This text, the first of three volumes in the "Introduction to the Science of Mental Health" series, treats the science of mental health and illness and is based on the writings of St. Thomas Aquinas. The text is divided into three parts: What constitutes a valid science of psychology; The principles one must know in order to discuss mental health and illness; What is mental health and illness according to St. Thomas and what are the causes of mental health and illness from a Thomistic perspective. The Forward and imprimatur for the text are by His Excellency, Fabian Bruskewitz, bishop of the Diocese of Lincoln, Nebraska. Vol. II: Sacred and Other Spiritual Causes This second of the three volumes addresses the various aspects of Catholic Theology as they affect mental health. Some of the areas covered are: Relationship of psychology to theology; Sin as it affects mental health; Infused Virtues, Sacraments, Gifts of the Holy Ghost and Prayer; Demonic Influences. Vol. III: Quodlibetal Issues and Practica The third text in the series, this volume addresses the various aspects of psychology which are not covered in the prior two volumes as well as the practical application of Thomistic psychology. Some topics included are: Music; The Subconscious Dreams; Hypnotism; Self Knowledge; Personality and Temperaments; Addictions; Developmental and Educational Psychology; Diagnosis and Counseling; The Role of the Empirical in Psychology.